Tabla Rasa Gallery is a wonderful venue that has hosted amazing shows over the last few years. The owners are friendly and enthusiastic about their space. The new show, opening on November 4th, features artists' works focusing on the human face. The works featured on the website and in the email are arresting. I'm looking forward to checking it out. The artists' reception is Wednesday at 5:30 PM, and the gallery is open to the public Thursdays, Fridays, and Saturdays from 1 PM to 5 PM. Original contemporary paintings, photographs, sculptures and works on paper will be on display. 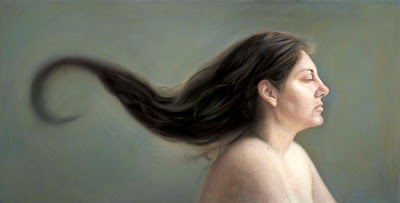 Among the artists exhibiting in ABOUT FACE are Jeannine Bardo, Stephen Basso, Simon Dinnerstein, Anita Giraldo, Clarity Haynes, Kiseok Kim, Alexandra Limpert, Alex Pimienta, David Prifti, Stuart Shedletsky, and Larry Siegel. I just wanted to thank you for writing such a lovely notice about our gallery. We have included a link to this page in our subsequent notifications.